A once bustling street in the center of San Juan, Puerto Rico, fell into disuse when the city failed to repair broken streetlamps. The dark street was perceived as unsafe by many, and became devoid of pedestrians, garbage-strewn, and generally avoided. 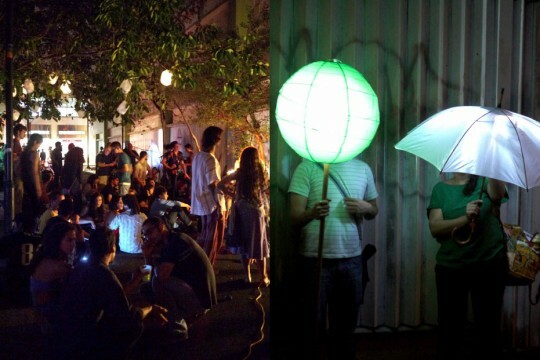 Urbano Activo, a research and design collective that promotes the creative use of public space, conducted a multidisciplinary workshop that included local residents, and devised Iluminacción, a one-night event that called on neighbors to converge on the street with handcrafted lanterns and whatever other means of illumination they could find. With music and a festive atmosphere, the street shone bright once again. A petition was circulated at the event, leading the city to repair the broken streetlamps.